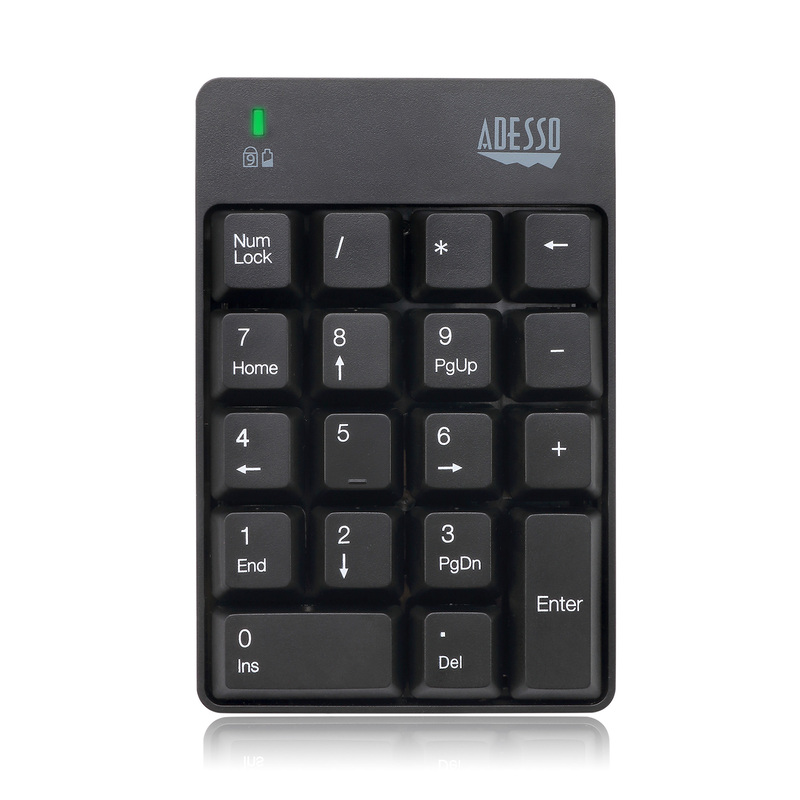 The Adesso WKB-6010UB spill resistant 18-key keypad is the keypad that you deserve to have for many reason. 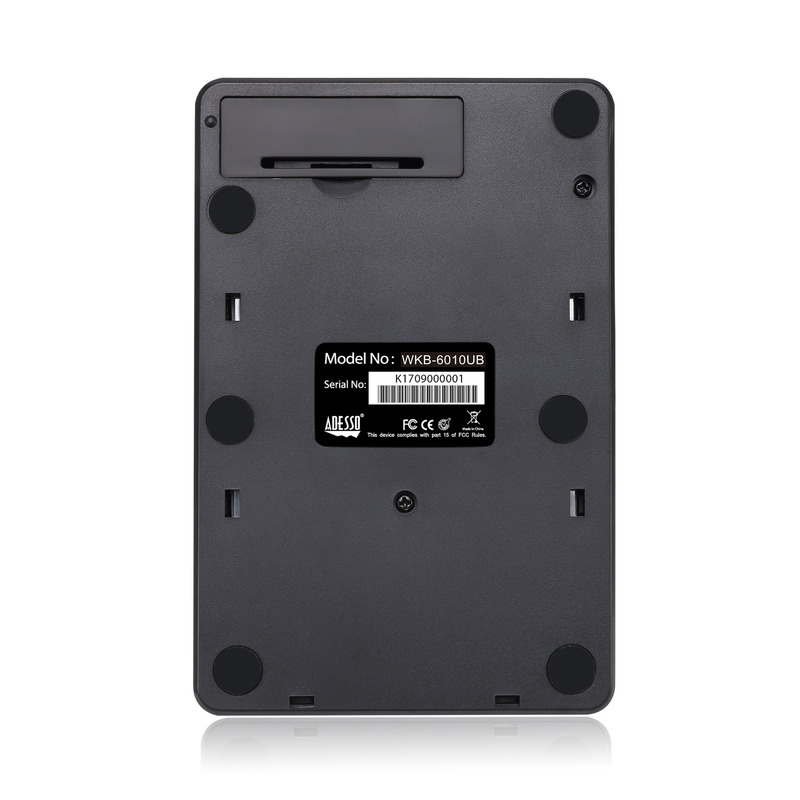 To begin with, it is wireless, eliminating any unnecessary wires and keep your working station neat and organized. 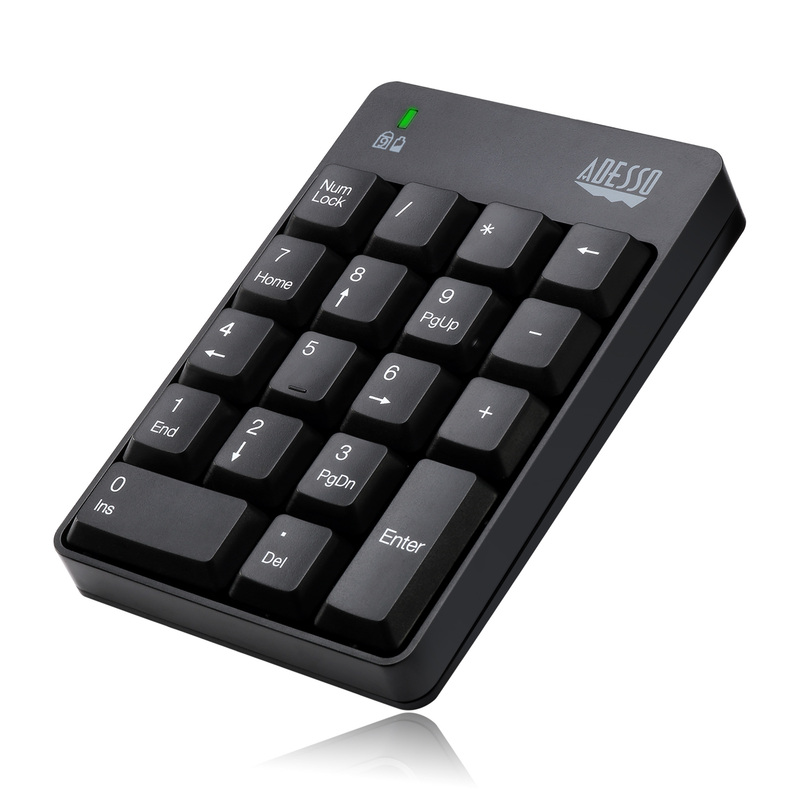 It is also extremely compact and lightweight which makes it portable. 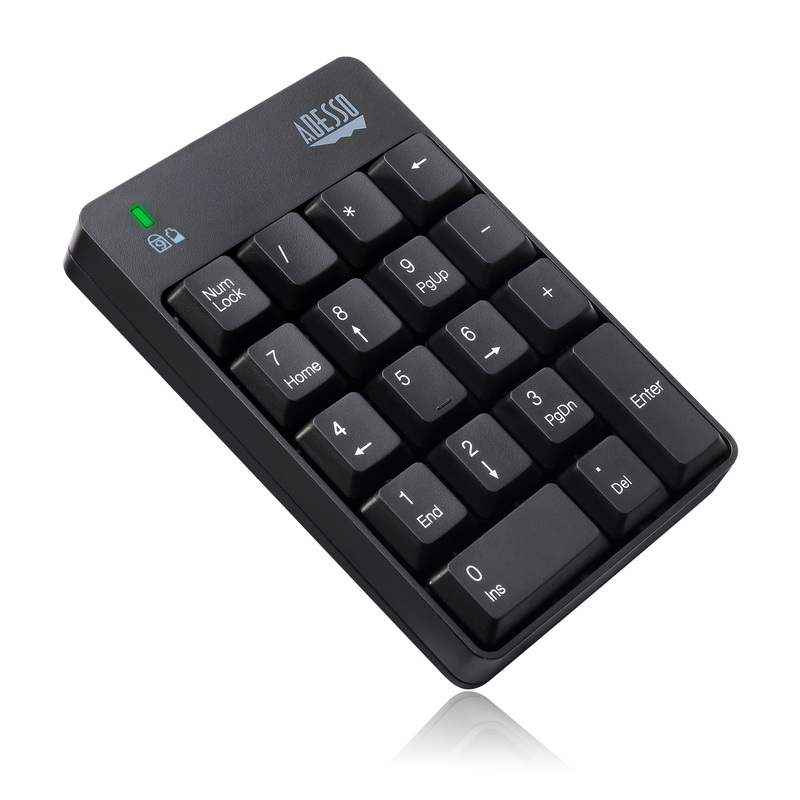 Its membrane key switch also provides a quiet typing experience that lasts up to five million keystrokes. Perhaps the greatest feature that the WKB-601UB has is that it is spill resistant. The structural design of the casing is meant for fluids to exit out of the unit in case of accidental spills. 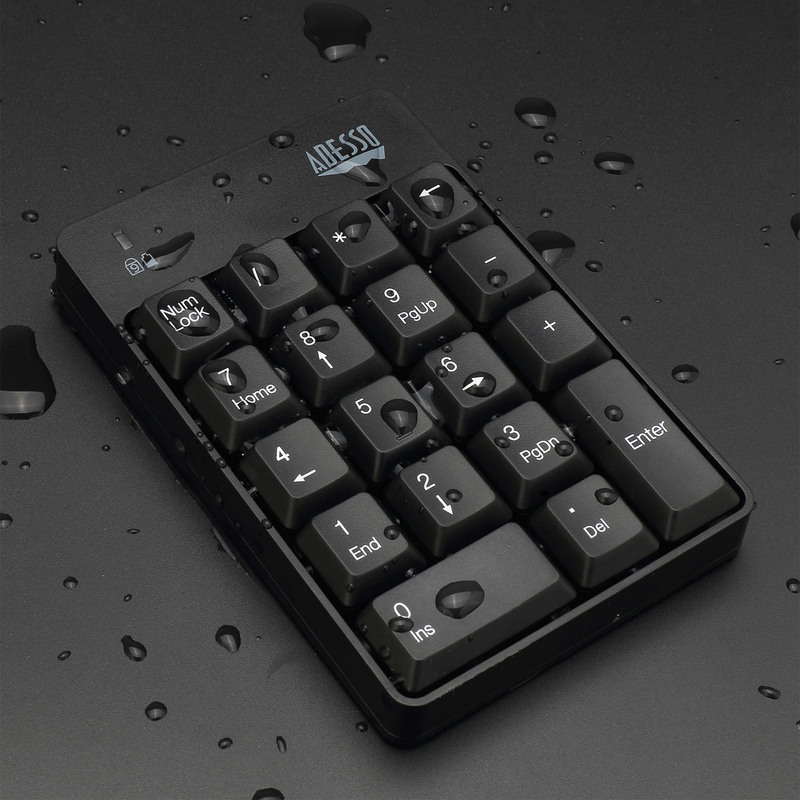 Next time when you accidently spill drinks while using your numeric kepad you can be assured those fluids will not trap inside the keypad causing damage to your device. 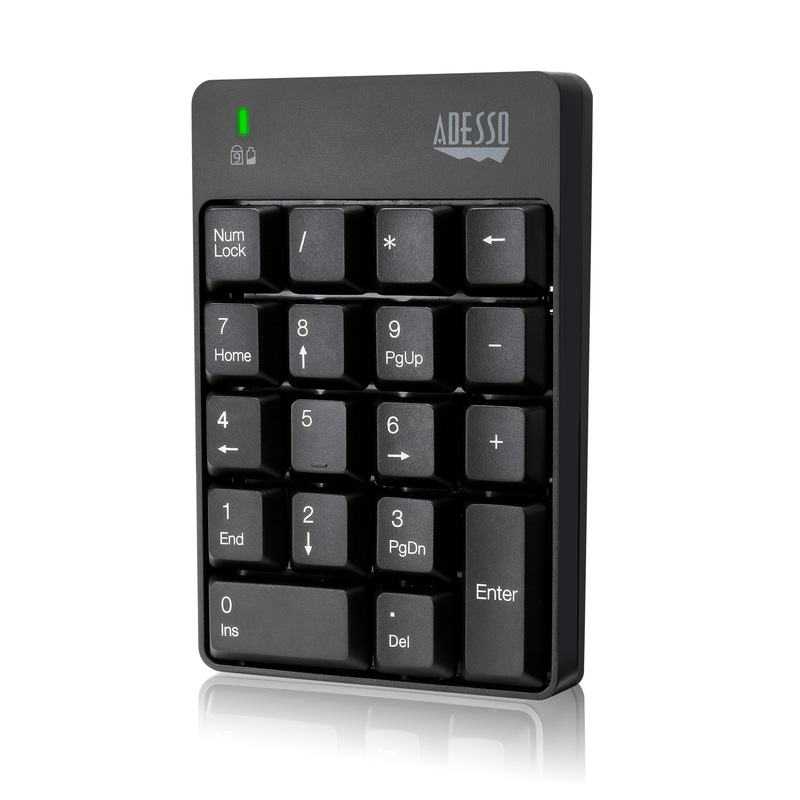 This keypad works at any angle with a range of up to 30 ft. with no wires to get tangled. The compact design of less than 3.5″ wide makes for easy portability and ease of use in different working environments. 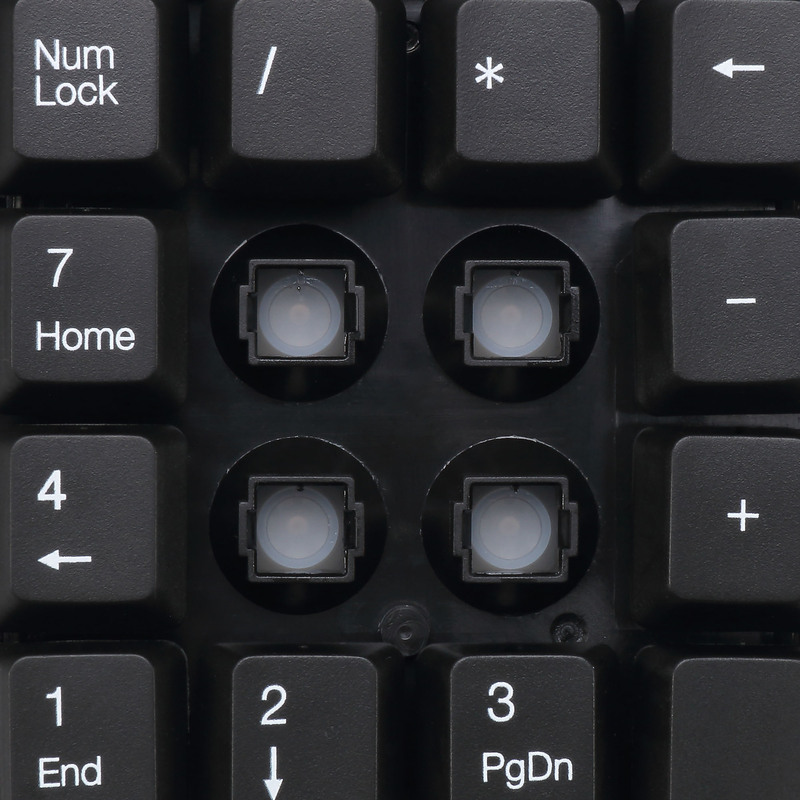 The keypad’s spill resistant design helps to prevent fluids from staying inside, which would otherwise cause damage to the keyboard. 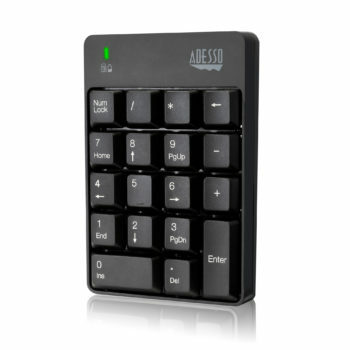 Membrane key switches provide a better responsive and quieter typing experience lasting up to five million keystrokes. 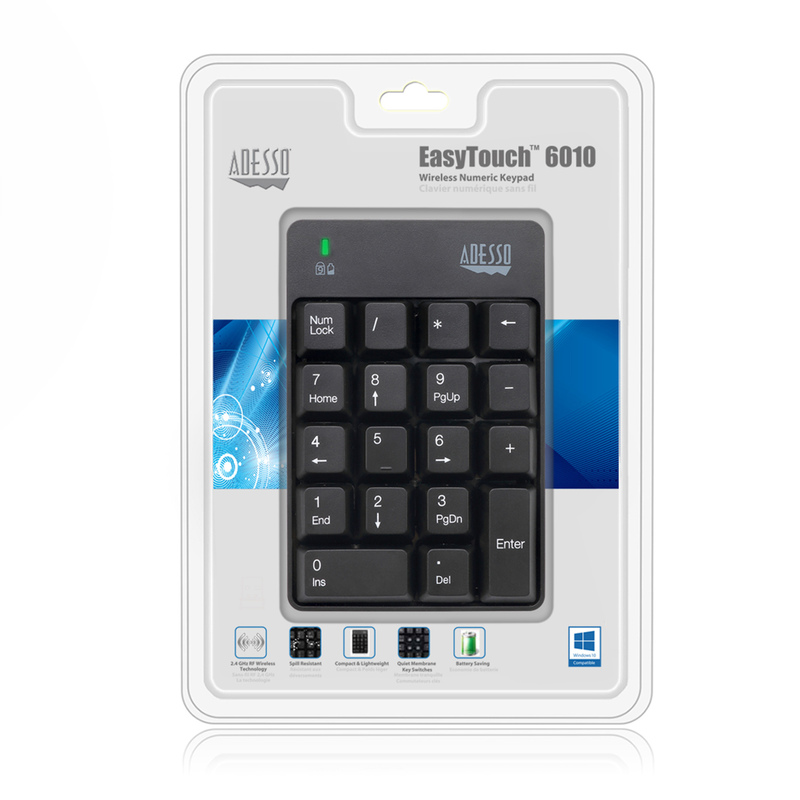 With the built-in Auto-Sleep feature, you can automatically maximize your battery life when your WKB-6010UB is not in use.